Banana stem looks like this. It is a rich source of fiber and good for kidney. This curry is very tasty also. 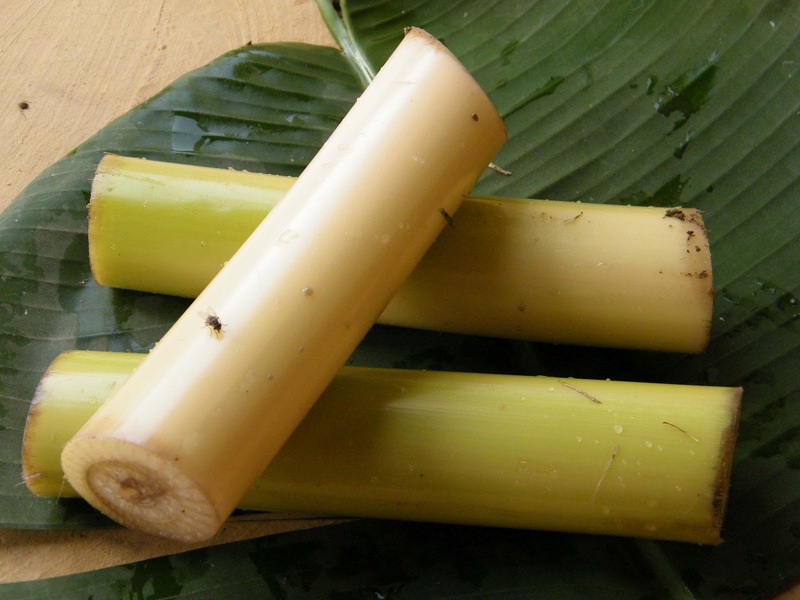 We can also make different recipes with the banana stem. Arati davva or duta(Banana stem)-1piece of 1/4mtr length. To prepare this curry we have to cut the stem very carefully. This stem is round in shape, we have to slice it and take out the hair like material. Then we have to chop the sliced stem. We have to put these pieces into thin buttermilk otherwise they will turn to black. Pressure cook the arati davva for three vigils. Drain out the excess water and squeeze. Boil the split green gram till they become soft. Heat oil in a kadai add mustard seeds, cumin seeds, black gram, red chilies and green chilies. Fry them till they splutter. Add asafoetida, curry leaves and cooked arati davva. Let the wetness also dry out then add half cooked green gram to it. Add salt and turmeric powder. Let it cook for some more time so that the water and wetness in the curry will dry out.